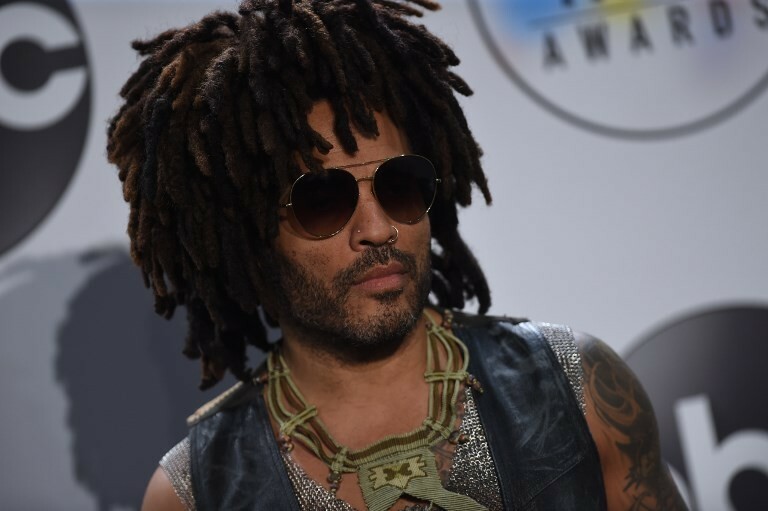 Lenny Kravitz, the four-time Grammy winner whose 1989 debut album, Let Love Rule, and 1991 follow-up, Mama Said, established him as a mega-wattage psychedelic-funk-rock recording star, is on a world tour promoting his 11th studio album, Raise Vibration. Kravitz had an interesting upbringing. His mother, Roxie Roker, was a Bahamian-American actress who starred on The Jeffersons. His father, Sy Kravitz, was an NBC News television producer of Ukrainian Jewish descent. When you were first writing and recording, did you have a feeling as to how the songs would be received by the music industry? I didn’t know. I just knew that I was singing and performing my truth. This was a time right after everybody in the music industry was telling me that I couldn’t do this sort of thing. I would take my music around to the labels, and I would get the whole “It’s not black enough” [response]. At the time, there were the black/R&B A&Rs and there were pop A&Rs, which primarily consisted of white artists. The people at the R&B A&Rs couldn’t deal with the pop side, and the people on the pop side were confused as well. So people were not into the music that I was making or didn’t know how to sell it or how to market it. I was offered deals if I would simply change my music. I never took the deal. I wanted to do my thing. I was living in my car. I had no money. I’m young and in my late teens and who wouldn’t take the money, but there was just something inside of me that wouldn’t let me do it. I didn’t make Let Love Rule on a label. I borrowed money, went to the cheapest studios I could find. I was into a very psychedelic phase. Let Love Rule had an old-school quality while having a new-school quality. So I recorded the record, and then I began to take it around. At one point everyone except Virgin had heard it. I had five minutes on a Friday afternoon before people were going home [there]. When I left the building, I had a record deal. They did not know how to market it – they admitted it. But we believed in the music, and that’s why it happened. How did your parents’ different cultures affect your musical style? Being biracial and mixing all these elements, I was open to everything. I had such a vast education in religion and culture from both sides. Both parents exposed me to everything, and it was beautiful. I never understood when there was tension between the black community and Jews. They are the same thing. Both have gone through such persecution; both are so rich in culture. It was such a beautiful upbringing, and it also made me not be able to understand prejudice. When you became famous, was that overwhelming? My mother was on a No. 1 show, and it ran for 11 seasons, and we didn’t have a housekeeper. We did all the housework; my mother was scrubbing floors on Saturday. She drove a Buick. She was just so real. By the time I made it, that side never affected me. It was always about being humble and being grateful. I never said I wanted to be a star. I always said I wanted to be a musician. It was always based on art, not how many records I would sell or how big the arenas were going to be.